We look forward to getting to know you! We invite you to explore our website and hope you will imagine yourself at NCS, a school which believes in the power of young women! NCS is an educational community which inspires each student to become her best self. NCS students are confident, creative, independent, and resilient. Our program is designed to capture students’ intellectual curiosity and fuel their academic, artistic, athletic, and personal growth. 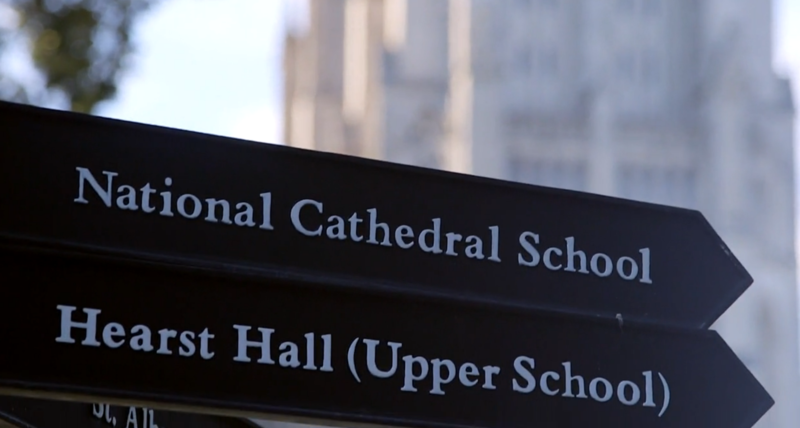 NCS’ identity as an Episcopal school and historic affiliation with the Washington National Cathedral provide a remarkable opportunity to learn and grow in the embrace of a spiritual community that honors people of all faiths, nurtures each community member, and values service to others. We take pride in our warm and inclusive community and hope you will take the next step in discovering it for yourself. Please come visit our campus, take a tour, and see NCS in action. We look forward to meeting you and your family and sharing the NCS experience. Wendy Wilkinson joined NCS in 2013 from Sidwell Friends School, where she was the assistant director of admissions. Ms. Wilkinson has also been director of admissions at Bentley School and Middle School director of Park Day School, both in Oakland, Calif. She loves to travel, hike, ski, and be with her friends and family. Rachael Flores joined NCS in 2015 from Episcopal High School, where she taught history and served as dean of institutional diversity directing the work of diversity and inclusion. Rachael serves on the faculty of NAIS's annual Student Diversity Leadership Conference and presents on topics of diversity, identity, and social justice. She holds degrees from Princeton University and George Washington University. Molly Price '95 returned to NCS in 2009, joining the admission office in charge of Upper School admissions. Ms. Price previously spent three years at the all-girls Emma Willard School as director of alumnae relations and several years working in parks and environmental advocacy in New York. Whenever Ms. Price gets the chance, she travels, and any other free moments are usually spent with her husband and daughter, doing crossword puzzles, playing or watching tennis, and rooting for the Boston Red Sox. Liz Wilson joined NCS in 2008 after many years of working with children of all ages, in both private schools and child-development settings. She holds a BA from Briarcliff College and has completed graduate work in education at Columbia University's Teachers College. Ms. Wilson is a lifelong and active Episcopalian, both in her own parish and on behalf of the Diocese of Washington. She has three children and seven grandchildren.